Backup Xbox 360 games every time when you need saving your achievements. Besides a dedicated utility to backup Xbox, other solutions such as Handy Backup can greatly expand your capabilities for saving Xbox backup games and drive images to many different storage types! Connect your Xbox and your PC with a dedicated connectivity cable (cable approach). Both approaches allow you seeing your Xbox drive content as a part of your PC’s file system. Using Handy Backup, you can make Xbox 360 backup by applying the "Computer" data source option. Backup Xbox files in native formats, allowing processing these data on your PC by any way you can invent, without a risk of drive or data destruction. These and many other options turn Handy Backup from a simple data-keeping solution into the mighty, universal tool that can be necessary for any advanced gamer (or, if not to be too scrupulous, for a careful and lawful hacker?). 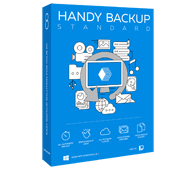 Handy Backup Standard edition allows you automatically saving your Xbox and PC game data to any place you can invent for keeping your games! Be sure that your Xbox drive is attached to your PC as an external disk. Open Handy Backup and call for a new task wizard by using a dedicated button on the management panel, or just by pressing Ctrl+N. Then choose the backup task on Step 1. On the Step 2, select the Computer data source option. 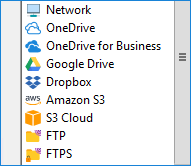 Find the drive corresponding to Xbox connection and open it. Choose data to backup Xbox 360 games and mark these data with checkboxes. Click OK.
On Step 3, choose data storage for your Xbox backups among the many storage possibilities featured by Handy Backup. 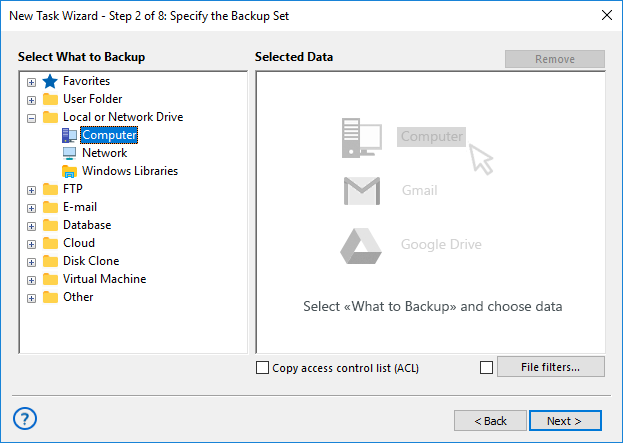 The two following steps allow you to choose other backup options, such as full, incremental, differential or mixed backup, versioned backup keeping, compressing and encrypting and so on. To schedule your task on Step 6, choose the option allowing automatic execution for your task each time you connect your Xbox to your PC via an USB cable (for a cable approach). Note: The hardware approach is difficult to scheduling by any way, assuming you are not knowing exactly when you will connect your Xbox to your PC next time. 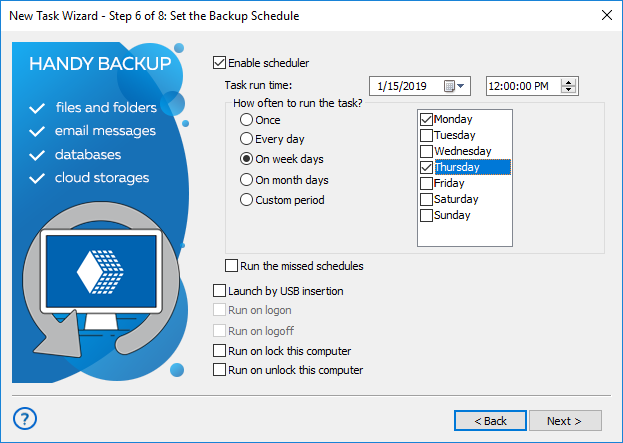 In this case, skip scheduling and use the manual start for the backup task. Now give a name to your task. The creation wizard will finish. 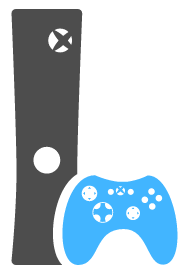 Enjoy how Handy Backup will auto backup Xbox games! Using the hardware approach (see above), you can create the disk image snapshot of your Xbox drive attached to your PC. This snapshot can be recovered later, or used as the part of some virtual machine, for repairing your Xbox or moving your data exactly byte-to-byte to another Xbox unit. To use this approach, attach your Xbox drive to your PC physically, and create a disk image backup (please read all details of this option in the User Manual), or start and apply a free utility called Handy Backup Disaster Recovery (HBDR) to make the same action. To restore your Xbox360 backups, you can make a restoration task. The process of creating a restoration task has no significant differences from creating a backup task. Moreover, you can make a "restoration" to the different place, creating a copy or mirror of your Xbox game data. Experience how easy is to backup Xbox 360 with Handy Backup just now, by downloading a completely free 30-day trial version of with a full set of functions.